Now $30 off - hurry, limited time offer! The Tri-Fold Pro by Gator features a high-grade, commercial vinyl that is tear and puncture resistant. When the cover is folded to the front of the bed, you get immediate access to over half your truck bed. Full bed access can be achieved by easily removing the clamps, no hardware or rails to worry about. 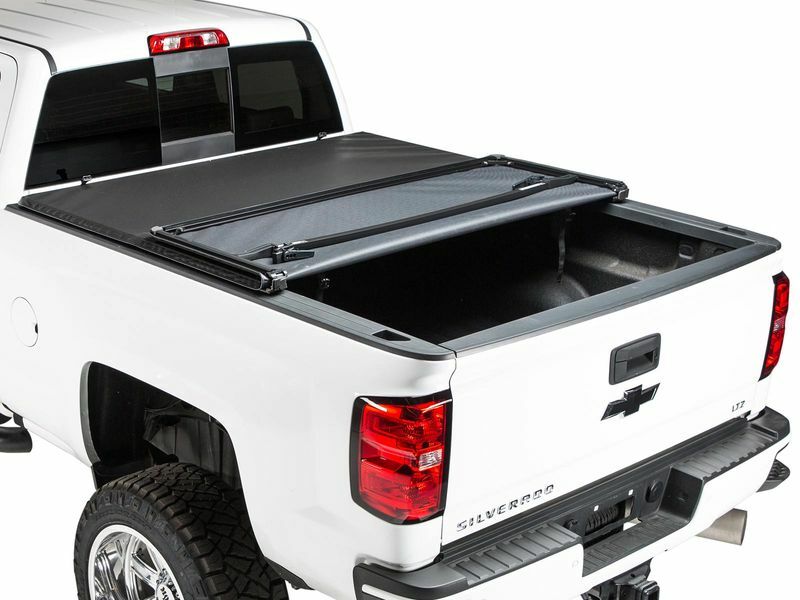 Securing the Gator Tri-Fold Pro tonneau cover to your truck bed is as simple as tightening down the quick release clamps. This cover has one of the simplest installs too, with no rails to install and no drilling needed. Larger items can easily be transported with the cover left open. Two straps fasten the cover down and allow you to drive with the cover open.